Having a company page on LinkedIn can be beneficial for any company. After all, LinkedIn was developed for professionals to connect with one another. Your company page is a chance to showcase what your company can do, promote your news, and make connections with potential clients or buyers. With more than 500 million users on LinkedIn, how can your company page stand out? One way is by making sure your profile is completely filled out: Companies with complete profiles get 30 percent more weekly views. Here are more ways to help your company page stand out from the crowd. Now that they have noticed your logo and banner image, it’s time to tell them your story. This section is also a great chance to use SEO. As you write your company description, be sure to add relevant keywords to boost your SEO value. You should also include a link to your website within your description. At the bottom of the “About Us” section, you can also add up to 20 specialties. 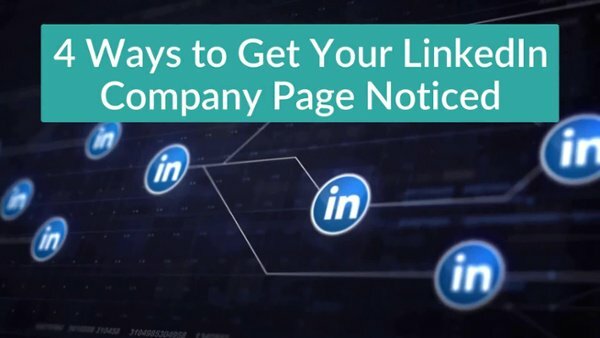 These act as tags to help people find your company on LinkedIn, so do not skip over this important step. As with any other social channel, it’s important to post on a regular basis. And remember - you only have seconds to capture your audience’s attention, so make it good! Keep your content short and sweet. Video reigns supreme in all social channels, especially with LinkedIn. Some ideas for video are conducting a short tour of your building, interviewing employees and sharing fun events at your company. Share relevant content by using the “Content Suggestions” tool in your company page dashboard. This tool shows you what is trending with your audience and can also give you great topic ideas to share. If you share an article, be sure to give a one or two sentence description of why your audience should check out the content you are sharing. Another important move to get noticed on LinkedIn is to engage with conversations. Take some time, scroll through your newsfeed and engage with your connections by commenting on content that they share. To reach new connections, you can use the “Content Suggestions” tool to scroll through the content your target audience is engaging in. Read through a couple of articles that are of interest to you and your company, and comment to join in the conversation. You can also join groups and follow hashtags on topics that are of interest to your target audience. Now that you have the tools to make your company page even better, the key is to get out there and start engaging! For inspiration, LinkedIn releases a list of Top 10 Company Pages every year. Do you need help with your LinkedIn or other social channels, as well as lead generation? Not sure where to start with digital marketing? Find out how Marketing Essentials can help you with your digital marketing strategy.